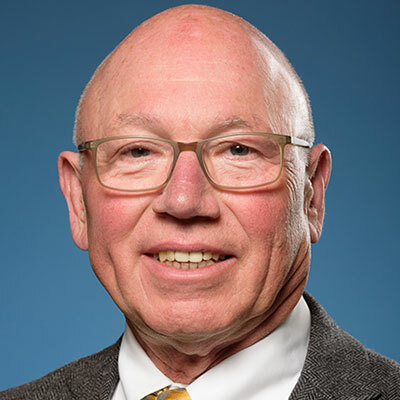 Professor Tempel is Founding Dean Emeritus of the Indiana University Lilly Family School of Philanthropy and a Professor of Philanthropic Studies. He led the world’s first school devoted to research and teaching about philanthropy. An internationally recognized expert on the philanthropic sector, he has four decades of leadership and fundraising experience. He helped found the school’s precursor, the Center on Philanthropy, and was its executive director for 11 years, transforming it into a leading national resource. Generous donors recently established the Eugene R. Tempel Endowed Deanship at the school to honor Professor Tempel. It will enable future deans to continue the development of the Lilly Family School of Philanthropy to reach its full potential and to achieve its goal of improving philanthropy to improve the world. A member of several nonprofit boards, Professor Tempel is a past chair of the National Association of Fundraising Professionals’ Ethics Committee. An early leader in creating the field of philanthropic studies, he was the first elected president of the Nonprofit Academic Centers Council and a member of Independent Sector’s Expert Advisory Panel that helped create national guidelines for nonprofit governance and ethical behavior. The author of several works in the field, he has won numerous awards and has been named among the 50 most influential nonprofit sector leaders 13 times by The NonProfit Times, which also named him the sector’s first “Influencer of the Year” in 2013. He earned his Ed.D. from Indiana University and is a Certified Fund Raising Executive. See a list of Dr. Tempel's publications in the attached CV. Editing Achieving Excellence in Fundraising, 4th ed. Authoring chapters for Achieving Excellence in Fundraising, 4th ed. Replicating a study of international fundraisers to result in a publication entitled, Fundraisers: Their Careers, Stories, Concerns, and Accomplishments. Developing and teaching with Professor Gen Shaker a new course entitled, “Celebrity Philanthropy. 2015 Prestigious External Award Recognition (PEAR) Recipient for the Indiana University Lilly Family School of Philanthropy, presented by IUPUI Chancellor Charles Bantz, April 24, 2015. 2014 Chancellor’s Medallion, presented by IUPUI Chancellor Charles Bantz, September 4, 2014. 2014 David R. Jones Award for Leadership in Philanthropy, presented by the Board of Visitors of the Institute on Philanthropy and Voluntary Service. Named a 2014 Prestigious External Award Recognition (PEAR) recipient by the Chancellor of IUPUI, March 2014. Named Influencer of the Year in the U.S. Philanthropic Sector by the NonProfit Times, September 2013. Named to the NonProfit Times “Power & Influence Top 50 Hall of Fame 1998-2009, 2013, and 2014. Award for Exemplary Board Service, Indiana Repertory Theatre, June 2013. Tom McGlasson Little 500 Spirit Award, Mary and Gene Tempel inaugural recipients, awarded by IU Student Foundation Steering Committee, April 2013. Henry A. Rosso Medal for Lifetime Achievement in Ethical Fundraising, the Center on Philanthropy at IU, awarded November 13, 2012. Eugene R. Tempel Scholar, an award presented by Avila University’s Hartsook Institute for Fundraising to a student enrolled in the Master of Arts in Management degree program at Avila University. The first Tempel Scholar was awarded in 2011. 2011 Growing Philanthropy Award, presented by the Hartsook Institute for Fundraising, 2011. Robert H. Shaffer Distinguished Alumnus Award, presented by the Department of Higher Education and Student Affairs, School of Education, Indiana University, 2009. Indiana University Foundation President’s Award for Stewardship, 2008. James L. Fisher Award for Distinguished Service to Education presented by the Council for Advancement and Support of Education, 2007. Outstanding Mentor Award, the Center on Philanthropy at Indiana University, presented by the Center on Philanthropy’s graduate students, 2004. William S. Armstrong Ambassador Award, Indiana University Foundation, December 2003. Maynard K. Hine Medal Recipient, Indiana University Alumni Association, 2003. Named “Sagamore of the Wabash” by Indiana Governor Frank O’Bannon, 2002. See a list of Dr. Tempel's presentations in the attached CV.